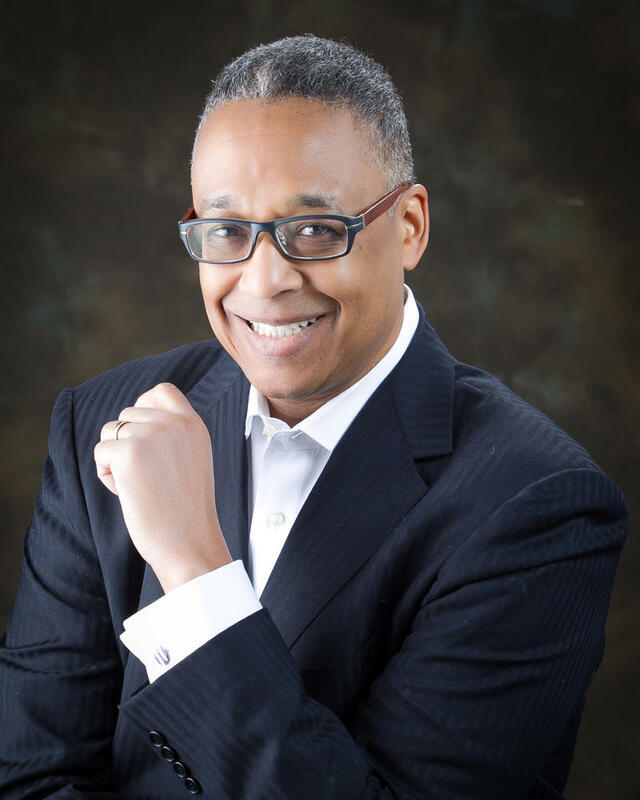 John Kiesewetter joined the WVXU news team as a TV/Media blogger on July 1 2015, after nearly 30 years covering local and national broadcasting for The Cincinnati Enquirer. 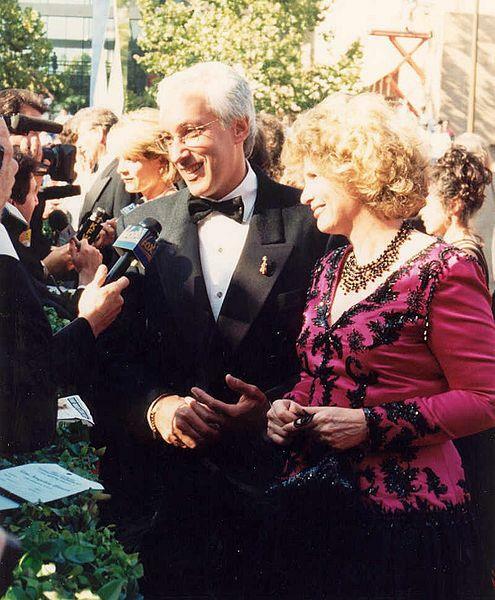 He’ll be posting news about Greater Cincinnati TV, radio and movies; updating your favorite former local TV/radio personalities or stars who grew up here; and breaking news about national TV, radio and media trends. 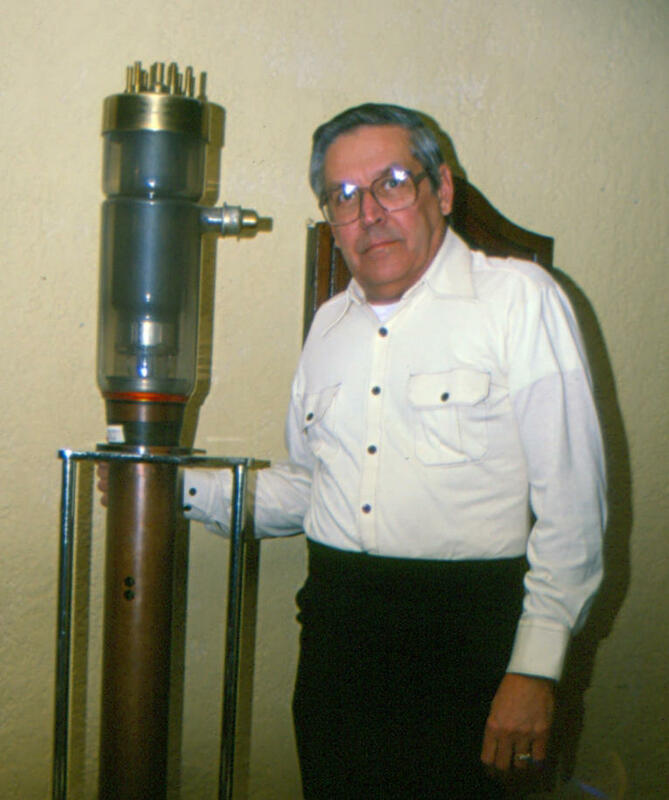 You’ll also learn about Cincinnati’s rich broadcasting history. I'm not talking about comedian Harry Anderson's magic tricks. Or his love for singer Mel Torme. 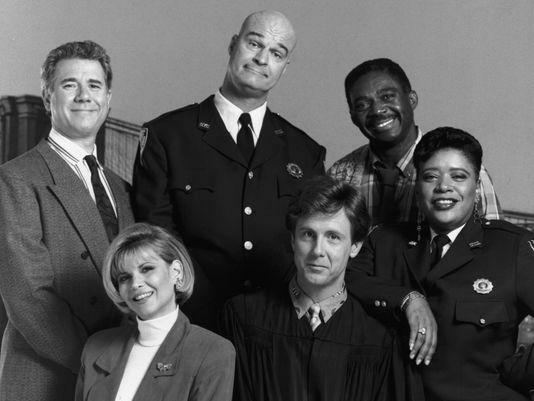 Or his laid-back jeans-and-sneakers under his judicial robes presiding over NBC's "Night Court" (1984-92). 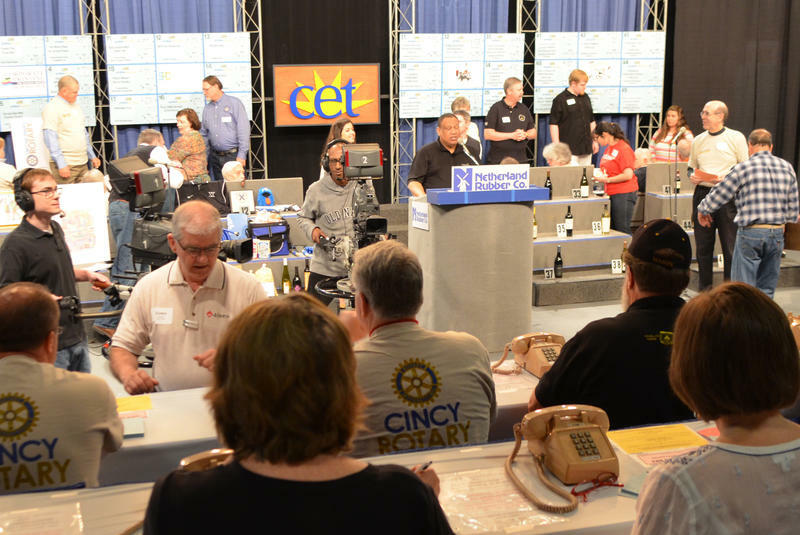 It's that time of the year again: WCET-TV needs your help for another successful "Action Auction," the public TV station's biggest annual fundraiser. 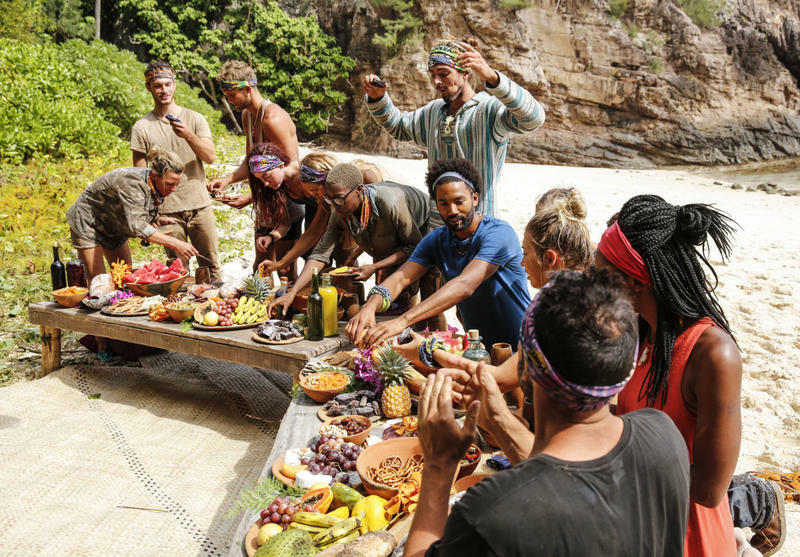 Robert Voets / CBS Broadcasting Inc.
Talkative male model Chris Noble, the first friend Oregonia's Angela Perkins made on "Survivor: Ghost Island," was voted out of the game Wednesday. 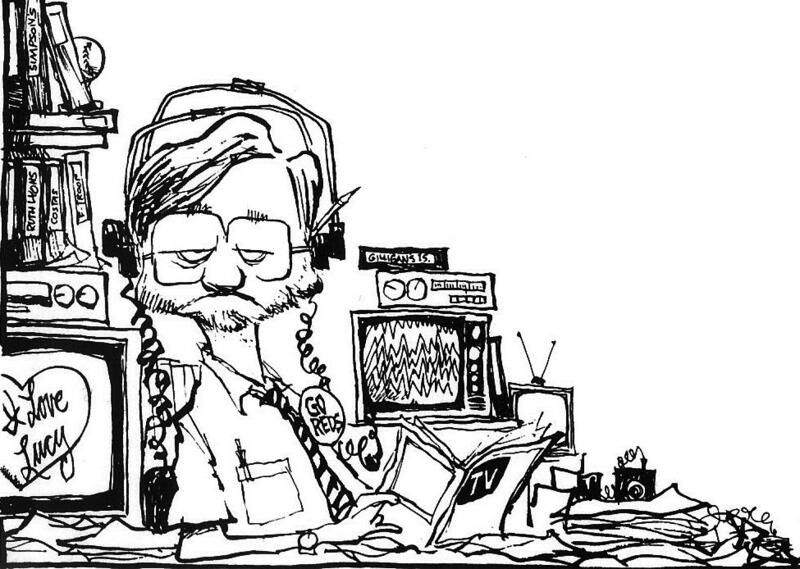 Editor's note: The opinions expressed in this article are the author's and do not necessarily reflect the views of WVXU. So you're a long-time loyal Channel 12 viewer, and you're weren't happy seeing anchors Rob Braun and Cammy Dierking forced to read a corporate-mandated complaint from owner Sinclair Broadcast Group about media outlets which "push their own personal bias and agenda, to control exactly what people think." 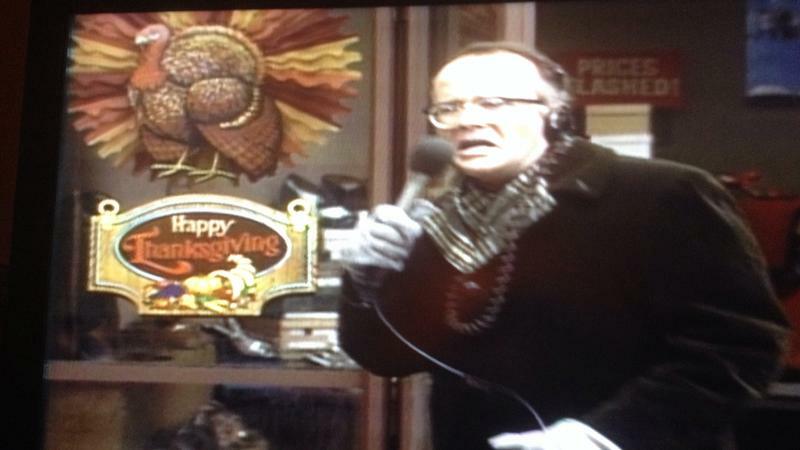 In just its seventh episode, “WKRP in Cincinnati” dropped a classic TV moment – when station manager Arthur Carlson (Dayton native Gordon Jump) hatched a foul promotion, dropping live turkeys over a Cincinnati area shopping mall. Who Is That Familiar Voice On Science Channel? 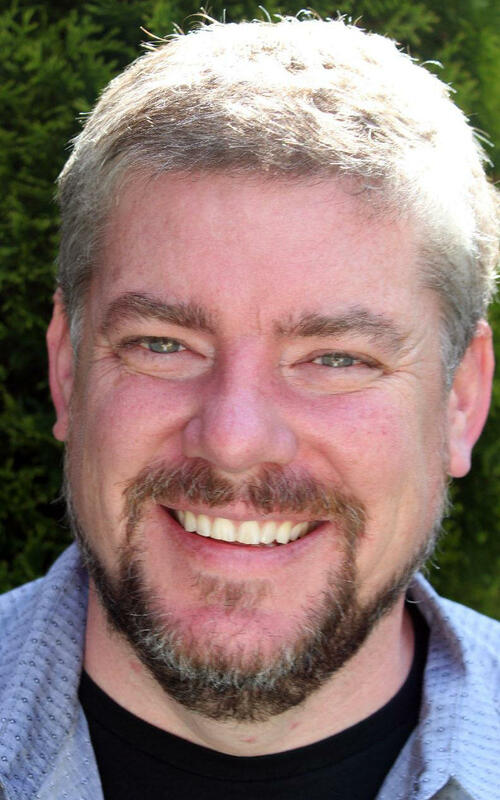 The narrator for the Science Channel's new "Deadly Intelligence" series Sunday (10 p.m. April 8) may sound familiar. 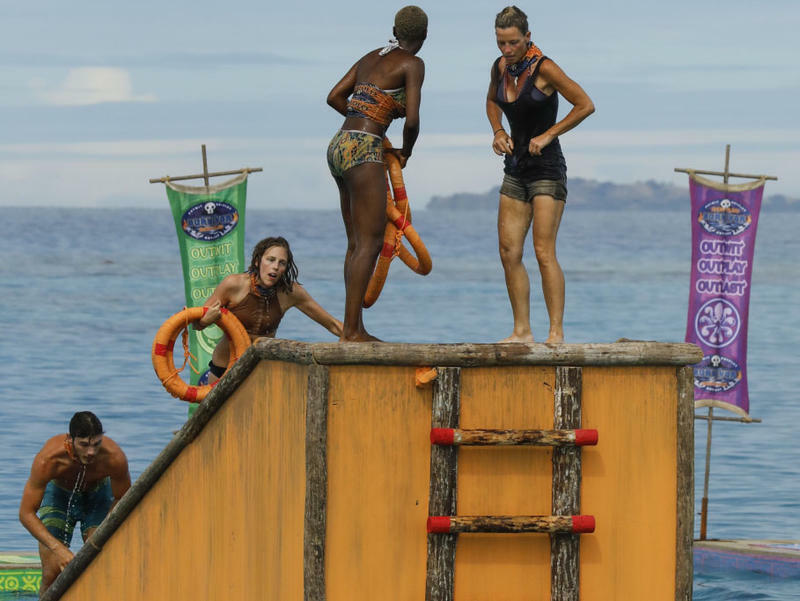 After burning the Malolo banner, Angela Perkins and her Malolo tribe mates finally won an immunity challenge on "Survivor: Ghost Island" Wednesday. 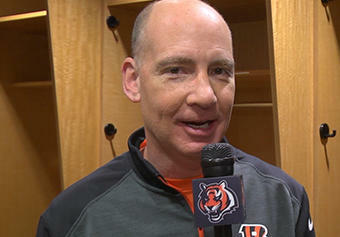 So "WKRP" is back living on the air in Cincinnati? No, it was dead on arrival. It was hard to miss the corporate-mandated complaint about "the troubling trend of irresponsible, one-side news stories plaguing our country" last week on Local 12, and Sinclair Broadcast Group's 172 other TV stations nationwide. Rob Braun and Cammy Dierking read the Sinclair-ordered script in the first 10 minutes of every newscast (which I clocked at 80 seconds), cutting into news time. 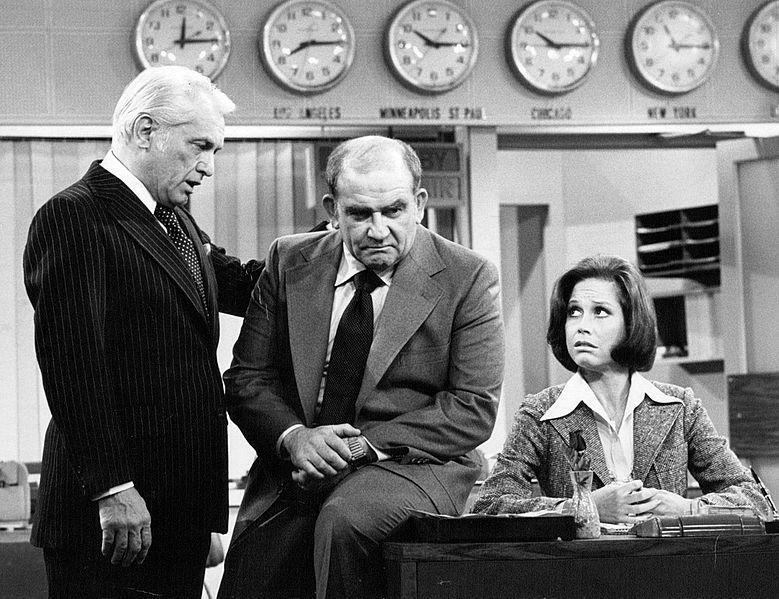 Steven Bocho, who changed television by pushing network boundaries on "NYPD Blue," died Sunday of leukemia at age 74. 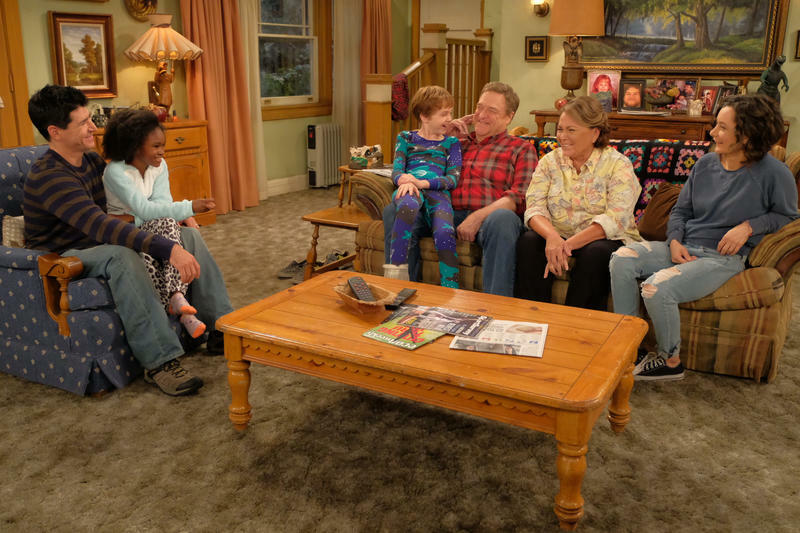 Cincinnati loved the return of ABC's "Roseanne," along with the rest of America, so ABC will repeat it 7 p.m. Sunday, April 1, on channels 9 and 22. Turkeys away! 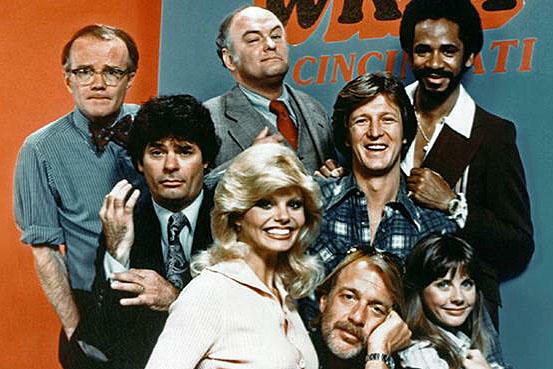 "WKRP in Cincinnati" returns to the airwaves 9:30 p.m. Monday, April 2, with the introductory episode broadcast by CBS on Sept. 18, 1978. 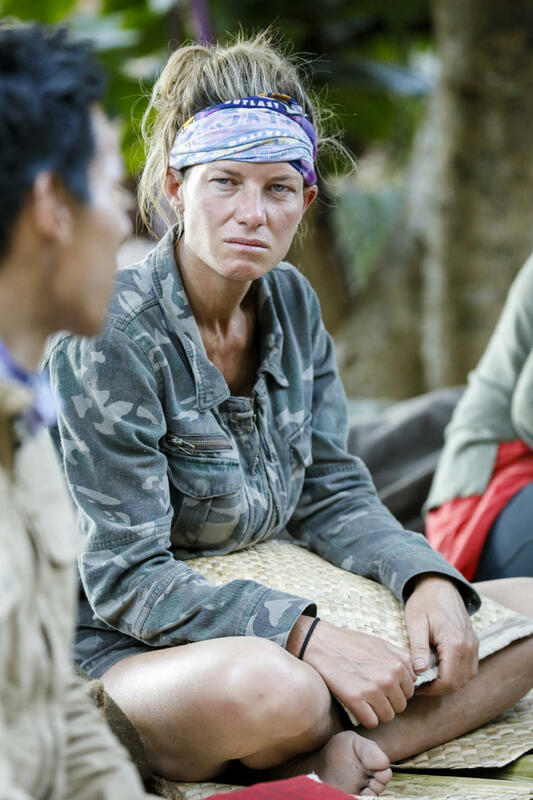 This is why fans love Survivor: After portraying Oregonia resident Angela Perkins as the pivotal swing vote or possible outcast at the next Tribal Council, viewers saw her teammates blindside James Lim from Los Angeles. WKRC-TV medical reporter Liz Bonis is hosting a new half-hour weekly series called What's Happening In Health at 6 a.m. Sundays on Channel 12. 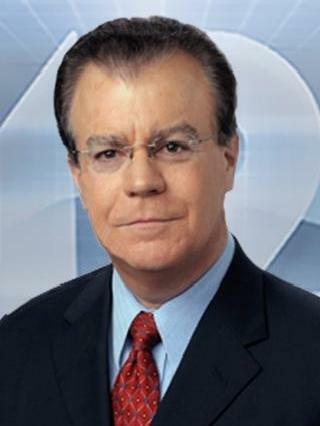 Happy 50th Anniversary Jim Scott! 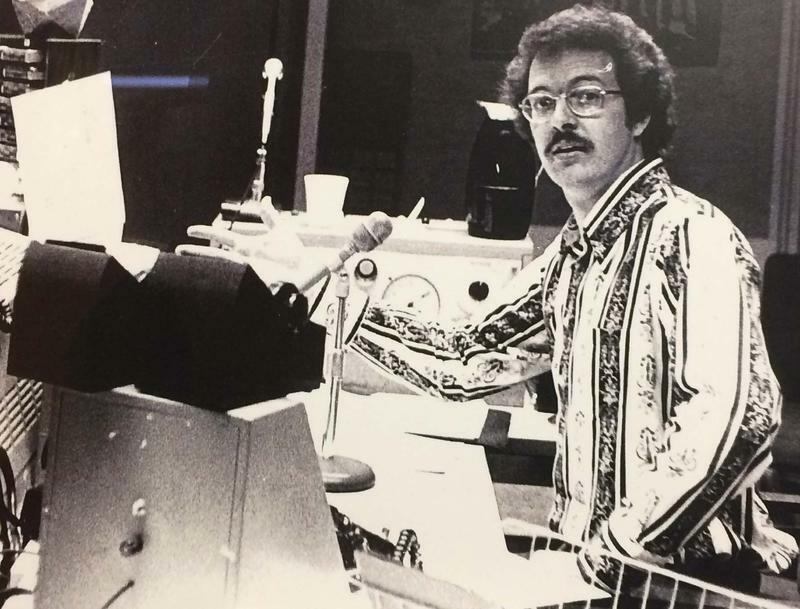 On this date in history: DJ Jim Scott arrived in Cincinnati to take a job at WSAI-AM on March 23, 1968.